Good Morning and Happy Monday! It's a new week and a new month! 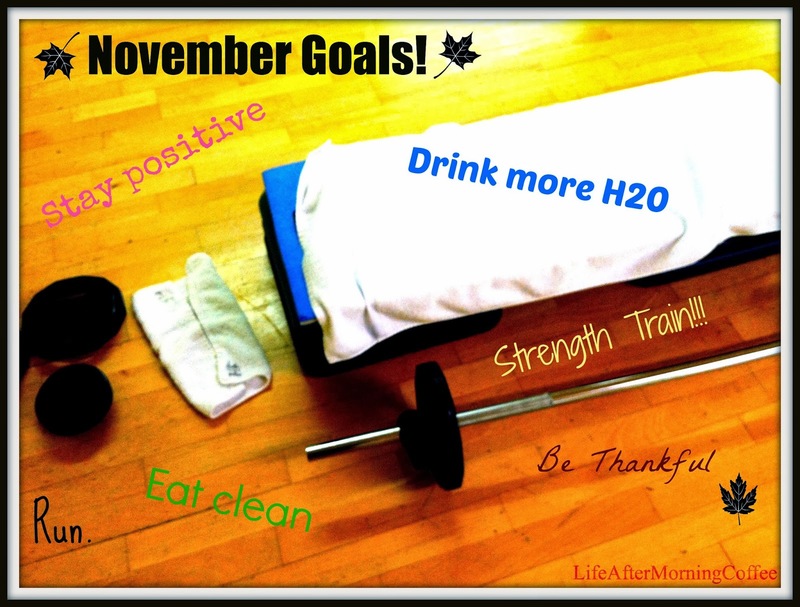 Have you sat down and made your goals for November? -Stay Positive: While November marks the start of wonderful holidays such as Thanksgiving and Christmas, winter has always been a struggle for me. I seem to get really bad "seasonal depression" since I'm not too thrilled about sub zero temperatures, driving in the snow/ice, and not being able to exercise outside. The treadmill and I become very close friends over the winter. I hope to stay positive throughout this winter since we have so many great things to look forward to... like our honeymoon!!!! -Drink More H20: Winter, again, makes this very difficult for me since I'm usually not dying for an ice cold glass of water. I tend to drink a lot more coffee, tea, cocoa, and cider in the colder months so water takes the backseat. My skin gets so dry when it gets cold, so the more water - the better. -Strength Train: I miss weight lifting. So much. With all of the half marathons this last year (and the wedding), I focused a lot on cardio instead of strength training. I did an upper body workout yesterday afternoon at the gym and it felt amazing! I'm loving the feeling of my sore muscles today! -Eat Clean: This usually comes pretty easily for me but with all of the celebrating in the last month, there has been many nights where we don't eat at home. I'm looking forward to home-cooked and holiday meals filled with lots of veggies. 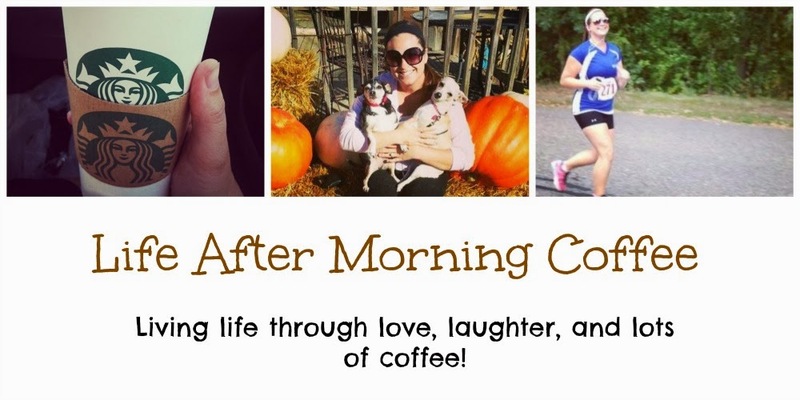 -Run: I don't plan to run another half marathon until the spring, so I want to take this month to run when I want to rather than when I should. I'm looking forward to running the Turkey Trot on Thanksgiving morning for the third year (it will mark three years since my first race) with my husband! The Turkey Trot will be his first race and I'm so excited for him to join me... I feel a tradition starting! -Be Thankful: I have so much to be thankful for and I just want to focus on those things this month. Thanksgiving is such a great time to sit down and really think of everything you have. I am thankful for a loving husband, a supportive family, my two loyal children dogs, a cozy home, my health, my job, and my caring friends.